Stop looking for ASP.NET MVC 5.1.2 Hosting anymore. ASPHostPortal.com offers the latest Microsoft ASP.NET MVC 5.2.1 hosting service. ASP.NET MVC 5.1.2 is the latest update to Microsoft’s popular MVC (Model-View-Controller) technology – an established web application framework. ASP.NET MVC 5.1.2 can be installed side-by-side with ASP.NET MVC 5.1.1 and you can upgrade from your existing MVC project directly by copying over all the views, controllers, code, and content files. provides various editions of the important ASP.NET MVC frameworks, including basic ASP.NET MVC, ASP.NET MVC 2, ASP.NET MVC 3, ASP.NET MVC 4, ASP.NET MVC 5.0/5.1/5.1.1 and the latest ASP.NET MVC 5.1.2 . All of these frameworks enable customers to have a high level of flexibility and avoid compatible issue. 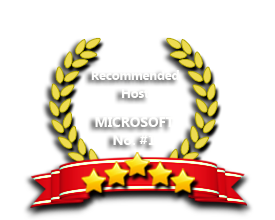 As an enterprise-level Windows web host,ASPHostPortal.com has everything you need to get your website up and running, including 24/7 help, language support, and the best tools for your site. Our Windows Cloud Hosting fully supports ASP.NET MVC 5.1.2 hosting. You are more than welcome to try our Free Windows Cloud Hosting before you decide to buy. You can get your Free Cloud Windows hosting account up and running within the next few minutes.